WWhether you’re seeking a vibrant city stay in the cosmopolitan heart of Cape Town, a hike up Table Mountain, exploring the open expanses of the Northern Cape or the lush, dramatic coast of the Eastern Cape, South Africa is waiting to welcome you. South Africa is proudly home to the most awe-inspiring travel experiences in exquisite settings and you’d be hard pressed to find such diversity and natural beauty in such close proximity anywhere else in the world. Part of this beauty and uniqueness is that South Africa lies geographically in an area that naturally experiences low rainfall. In the last few years water scarcity has become more of a challenge. But water scarcity does not mean you should delay or cancel your trip – South Africa is ready to welcome you on a once in a lifetime adventure while encouraging visitors to use water responsibly when travelling through our beautiful country. You can still head up Table Mountain or take a guided tour or a leisurely stroll through Kirstenbosch National Botanical Garden, Cape Town’s Garden of Eden, to admire the beauty of South Africa’s indigenous plant species such as savanna, fynbos, karoo and others. Take the time to visit the iconic V&A Waterfront, which attracts more than 23 million visitors a year. From the Waterfront, travellers can catch a boat ride to the Robben Island, shop, eat, watch movies, book a hotel room, and do a host of exciting activities at this iconic tourist destination. View more information on the water saving initiatives at Cape Town’s Big 7 tourist destinations here. Experience the wild beauty of the Eastern Cape and take advantage of the multitude of adventure activities from hiking, mountain biking, bungee jumping and paddling down Storms River. Visit our very own Garden of Eden in Tsitsikamma and Knysna, or head in to the Karoo and find yourself in the Valley of Desolation or visit small towns rich with culture and history. Our Northern Cape province is home to the exquisite Richtersveld, incredible opportunities to star gaze, vast, quiet expanses of the great Karoo and a sublime opportunity to lose yourself and find yourself. When travelling to the Western, Northern and Eastern Cape where water restrictions are in place, make use if these water saving tips, which can help you enjoy a wonderful stay in South Africa. Find and book eco-friendly accommodation. A number of hotels, lodges and Airbnb owners are already supporting the #WaterWiseTourism initiative through collecting rainwater, recycling water, and employing other water conservation strategies. To save water, tdon’t have your towels washed every day. You are urged to wash clothes when there is only a full load instead of washing one or two items at a time, or pack enough clothing to sustain you for your trip. When brushing your teeth, don’t leave the tap running as this can save up to six litres of water per minute. Take shorter showers - visitors to Cape Town specifically urged to keep them down to 90-seconds. Local South African artists have created a selection of shower songs to make keeping time in the shower fun. Visit www.waterwesterncape.com for latest news, tips and FAQ’s on being a Water Wise Tourist. The South African government has called on locals to welcome visitors with open arms and assist them deal with the water restrictions. Cape Town and South Africa are heavily reliant on tourism to sustain businesses and create much-needed jobs. The tourism sector only consumes 1.2% of all water consumption in Cape Town and the city has already cut its usage in half over the past three years, from 1200 mega litres a day in 2015 to 540 mega litres a day currently. Water is available in all areas where water restrictions are in play through the regular sanitary and hygiene systems for taps, showers, and toilets. In Cape Town specifically, water consumption is being carefully monitored to eliminate wastage while promoting responsible water usage by locals and travellers. If you extending your trip outside of Cape Town, this helpful map will give you clarity on which areas in the Western Cape are experiencing water shortages. The South African government is encouraging locals and travellers in Cape Town to reduce their consumption of water to 50 litres per person, per day -- which is the water restriction limit recommended by the World Health Organization for places around the globe that are managing water shortages. This is how locals are using their water responsibly. Be part of the solution and join the movement of #WaterWiseTourism to be part of the conversation. There is no need to stay away from Cape Town or South Africa as climate change and drought conditions are a global issue and not only isolated to South Africa and Cape Town. Cancelling a trip will place strain on a region that depends heavily on tourism with visitors spending approximately R40 billion, and creating over 300 000 jobs, which adds over 7.5% to the city’s total GDP. 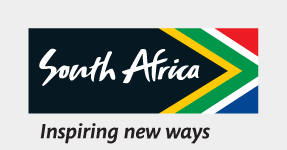 This spending helps significantly to fund the ongoing water saving projects being implemented and reducing this significant contribution by tourism to South Africa’s economy will create further challenges and financial strain. Don’t delay - visit Cape Town and South Africa and experience the beauty and the warmth that our country has to offer. Join the conversation on social media using #WaterWiseTousim.